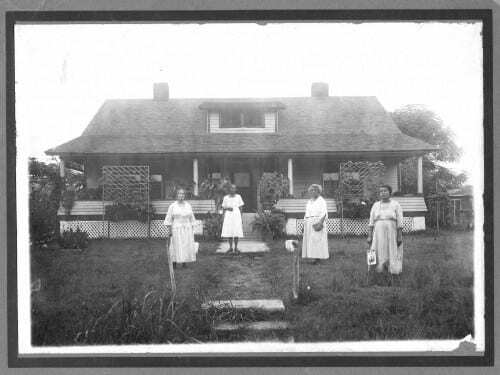 Four women in white dresses in front of North Dallas house. Date Unknown. Courtesy Dallas County Historical Society. Used by permission. Minnie Mae, Bailey Thomas, and Lizzie B Bailey in 1920. V86.50.544, J.L. Patton Box 4. Courtesy of the Dallas Historical Society. Used with permission.